If you plan on using VMware vSphere Update Manager 6.5 (which is now integrated into the VMware vCenter Server Appliance), the VMware vSphere Update Manager Download Service may very well be a key component of your deployment. Are you getting ready to upgrade to vSphere 6.7? Be sure to read the full article to find out about upgrade considerations. What is VMware vSphere Update Manager Download Service? VMware vSphere Update Manager Download Service, or UMDS is an add on to VMware vSphere Update Manager. In the past, an additional Windows server was required, since UMDS can’t reside on the same server as Update Manager for a very important reason. The purpose of UMDS is to connect to the Internet and download patches when the Update Manager Server can’t. Many organizations prefer to restrict Internet access when possible, so UMDS can quickly become a critical component to an Update Manager Deployment. In fact, one of the main vSphere Update Manager guidelines from the vSphere Hardening Guide has always been to use a shared repository as a download source. This has since been moved from the hardening guide to documentation, as have other components of the vSphere Hardening Guide. 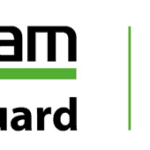 You can compare the current version of the vSphere Hardening Guide and the guidelines which have been moved to documentation here. Please note, this is the hardening guide for VMware vSphere 6.0. 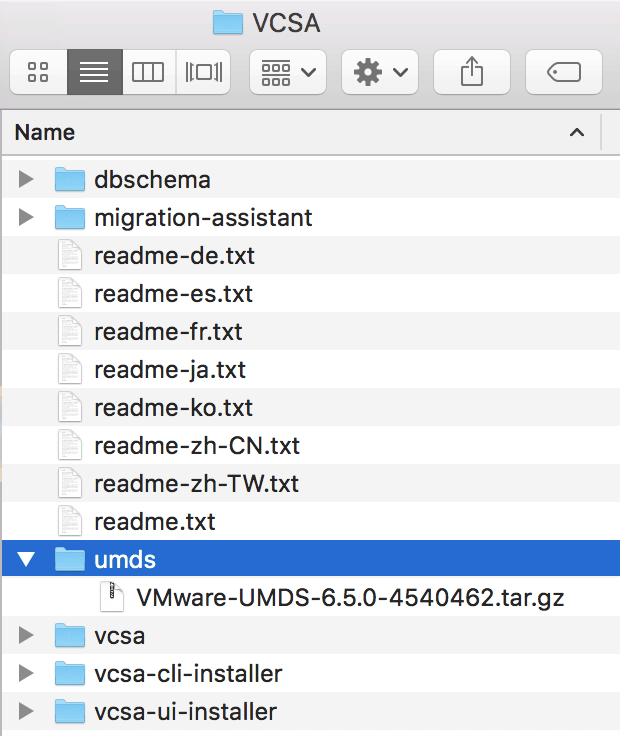 While VMware vSphere Update Manager Download Service has been around for some time, The big change in UMDS 6.5 is that it is now supported on 64-bit Linux operating systems, which means customers now have more choice on where they are installing UMDS 6.5. This is a win for many as they move to the vCenter Server Appliance, they may install UMDS on Linux and avoid the need to manage any Windows servers to support their VMware vSphere infrastructure. It is important to remember that any server you install UMDS 6.5 on requires a connection to the Internet. This may require you to have firewall rules put into place in your environment so remember to plan accordingly. If you’re going to install the Linux version, you can find it on the VCSA ISO in the UMDS directory. This will also require a PostgreSQL database on the Linux server, specifically PostgreSQL 9.3 or higher which must be started before the install begins. The installation for the Windows version of UMDS remains the same, which also requires a supported database, and can leverage an installation of Microsoft SQL Server 2012 Express at the time of install. UMDS for linux is another example of a great VMware vSphere 6.5 feature aimed towards making a Linux based VMware vSphere supporting infrastructure a reality. Be sure to read the VMware vSphere Update Manager 6.5 release notes, which covers the new enhancements to UMDS. The VMware vSphere Update Manager 6.5 documentation can also be found here, which covers the VMware vSphere Update Manager Download Service versions and how to install and configure them. When it comes to performing a VMware vSphere Upgrade (Such as upgrading from VMware vSphere 6.5 to 6.7), we must take special care to think of how UMDS will be impacted. UMDS versions are only compatible with the same VMware vCenter Server versions. For example, if I have VMware vCenter Server 6.5 in my environment, I will need VMware UMDS 6.5 to provide updates to Update Manager. If I upgrade to VMware vCenter Server 6.7, I will also need an installation of VMware Update Manager Download Service 6.7. UMDS 6.7 will provide the updates for VMware vCenter Server 6.7 ONLY. What does this mean? If you have different versions of VMware vCenter Server in your environment, you will need a UMDS of the same version to support it. Do not decommission a version of UMDS until you have decommissioned all corresponding VMware vCenter Servers of the same version. If you plan on updating all VMware vCenter Servers in your environment to a unified single version such as VMware vCenter Server 6.7, you can, in fact use UMDS 6.7 only. You can also re-use your UMDS 6.5 server. To install UMDS 6.7 on an existing UMDS 6.5 server, you must first uninstall UMDS 6.7. You can find more information on upgrading and installing UMDS 6.7 here.